Bred specifically to hunt in packs, the English Foxhound is rarely kept as a pet. The sport of fox hunting is now commonly viewed as inhuman in many parts of the world and has even become illegal in some countries. Despite this it does still exist, however,the type (and whether it is legal to actually kill the fox) differs by country. The English Foxhound was developed specifically to hunt fox in England. Some sources state that fox hunting traces back to the Middle Ages and as early as 13th century. However, in those times it was hunted strictly as vermin and killed by any means, not by specific hounds and in the fashion we associate fox hunting with today. The pursuit of fox on horseback and with hounds descends from stag hunting, and began as stags and forests dwindled in the 17th century, which caused hunters to search for new prey. They settled on the fox and began developing a breed more suited to this new hunt. The first foxhounds were the result of crossing the Southern Hound, an extinct, slow, stag hound with a ‘northern gazehound’, of which its actual type is unknown. Some have suggested French hounds were added to the as the breed was gradually refined over hundreds of years. Fox hunting would not completely replace stag hunting until the 18th century. 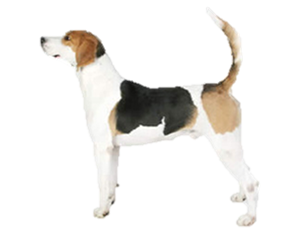 Is the English Foxhound Right for You?